I am really enjoying the Daily Painting. It is pushing me to work harder and faster. I am trying to get at least 2 hrs of painting in every day. I also need to post a painting a day and post to this blog. next painting up for sale is a Rooster with Attitude. 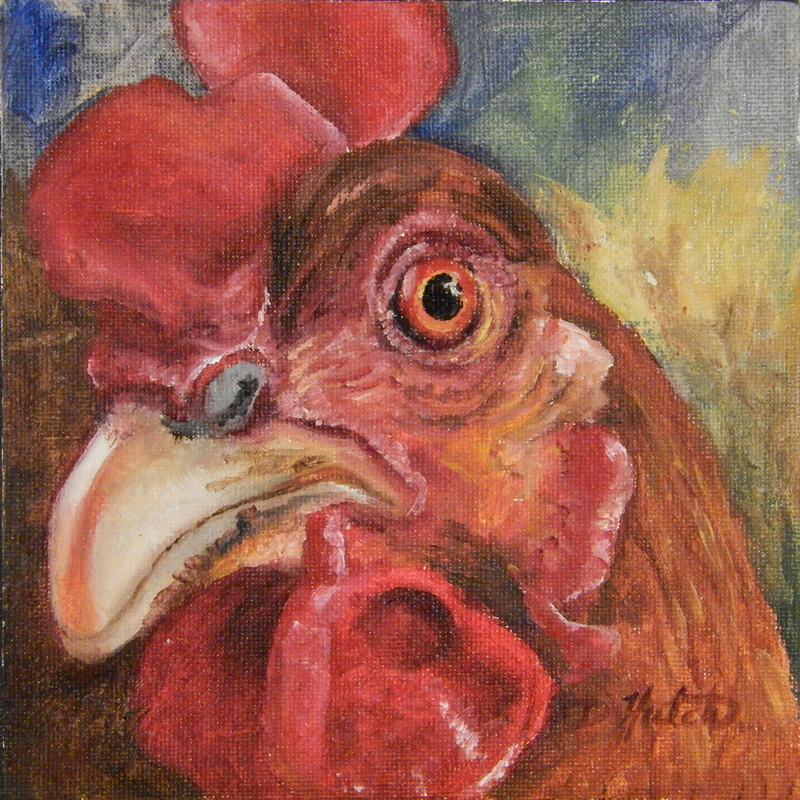 6"x6" acrylic on canvas mounted on panel.